Pictures of the freakin car finally added. Ok, about a month ago I got a vehicle that WASN'T a scooter. 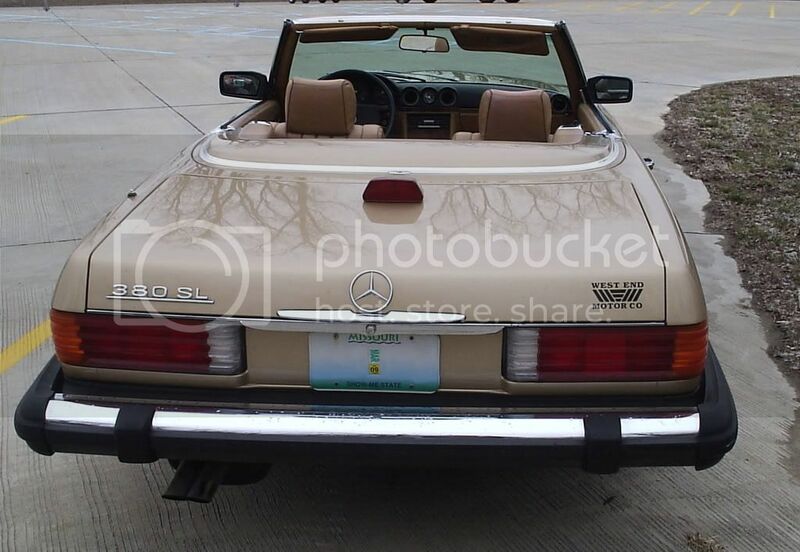 I found a rust free 1984 Mercedes Benz 380 SL convertible with lower mileage in basically perfect cosmetic condition and near perfect mechanical condition (it needs either a new fuel distributor or has some other wonkiness in the fuel injection). 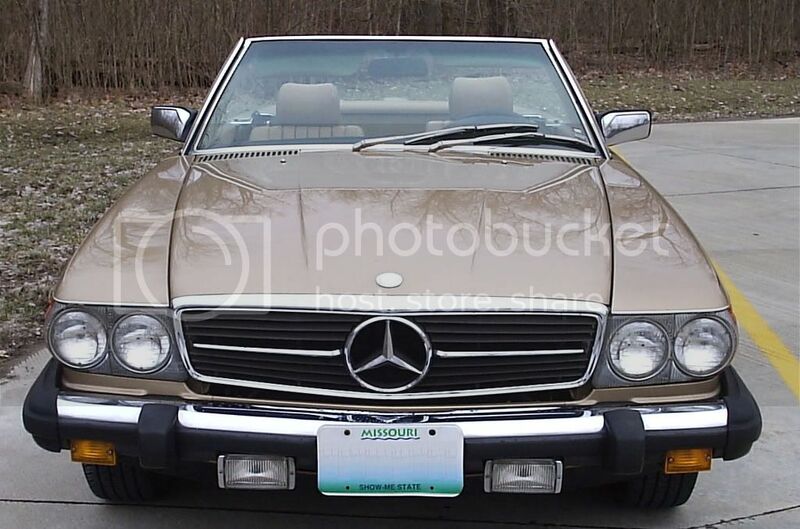 Mine is identical to the gold one I attached the picture of except for the fact that it has the double round headlights like in the second picture. 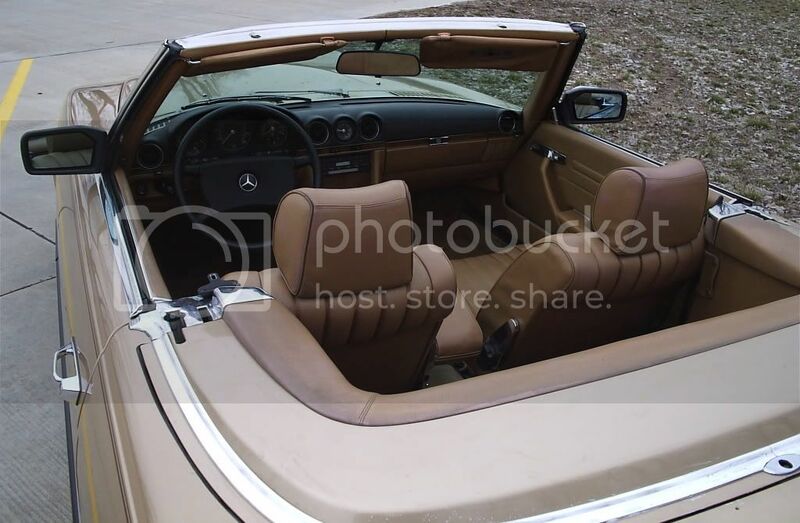 The soft top (underneath that removable hardtop) on mine is dark brown and is basically brand new. Of course not long after I got it my friends little sister backed into the driver's side door and made it look not too hot, but the insurance check should be here any day now and then it can go to the body shop to be perfect again, and then can finally go to the other shop to fix the fuel injection problem (been trying to get it into the shop since I bought it, but first my suburban broke down and right after I got that all sorted out the thing got backed into). Re: My new vehicle, not a scooter this time. 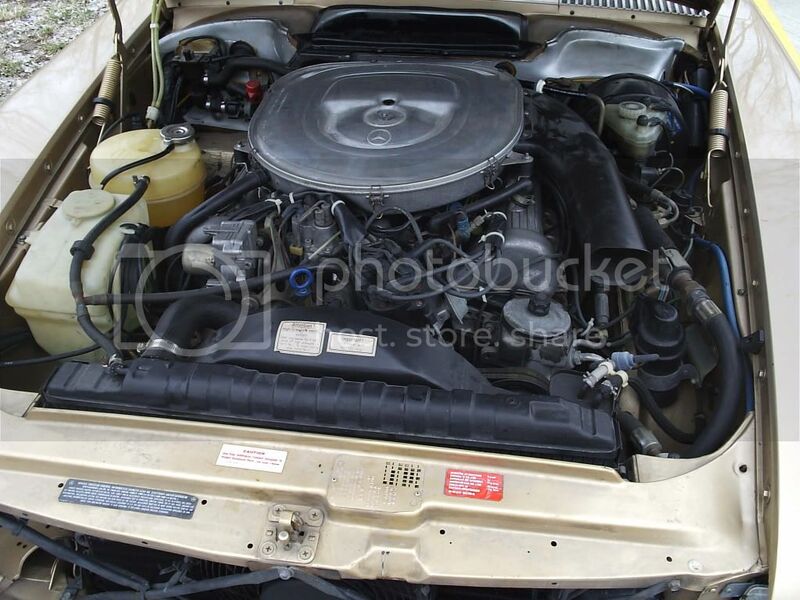 I paid $7000, which checking ebay prices is a bit low for the condition mine was in (zero rust, not even underneath, the interior is almost flawless and the engine compartment is so clean you could eat off the air cleaner). I knew it had fuel injection wonkiness when I bought it (I had been researching these things for a few years, so I was familiar with common problems) and that is a major factor in why I got it that low. I remembered seeing them on TV a lot, but I couldn't actually remember what I saw them on. A secondary reason I bought it was the fact that I got rid of my other car (that metro convertible I used to have) while I was with my last girlfriend, and my suburban is the sort of vehicle that women run away screaming from. A few months after the last girlfriend I was ready to start looking again and realized that I basically HAD to buy another car, and I ran into this while I was looking. Of course now it has to go into the body shop and the repair shop before I can even attempt to take it on any dates (it gets really bogged down at low RPMs and you basically have to drive it like a manual or it bogs down and doesn't want to go anywhere, it is a common problem with these cars and is most likely the fuel distributor, but there is just enough chance that it might be something else that I am going to take it to a shop rather than guess at a $500 part). I suppose you are getting a used fuel distributor huh? I checked FCP groton's mercedes section and they list a fuel distributor at $1824.40. They are traditionally much lower in price than dealers, and you won't exactly find most of your parts at advance auto. Rebuilt ones are under $500, which is still a chunk of change but is a lot more manageable, and the parts for that car are generally special order, the auto parts stores don't even stock the spark plug wires for them. 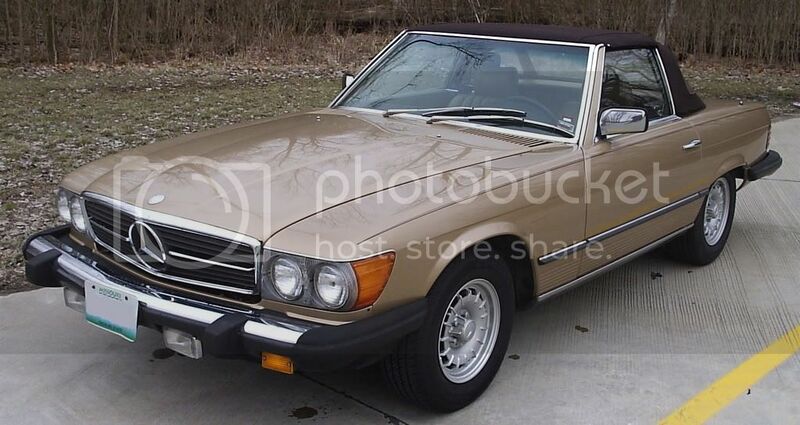 However with that said, there are a ton of old V8 fuel injected mercedes out there stashed in various places, and mercedes stocks parts almost forever, thus you can still get basically anything for that car as long as you can wait a few days, and mine only has 113,000 on it and has very obviously been pampered. I don't really predict I am going to have many other repairs if any at all. That's the problem with these super luxury cars. It costs a fortune to run them. People make that mistake a lot. They buy a cool Rolls or Bently or even a big BMW for practically no money and they find out quickly why these cars cost so little when bought second hand. It's a great looking car, but I hope your pockets are deep enough to keep it running. It's amazing how much value the thing is holding. I sold my 1998 Dodge Neon for like $1300 and it had 125k miles on it. Reconsider that as a percentage of MSRP. You'll probably find the difference isn't all that much relative to what it originally cost. Ebay prices? Is this really better than Kelly Blue Book? My father convinced me that was the car he wanted to have back in the 80's. He was going to buy one and he told his boss. The boss told him not to bring it to work because people would figure out that he made a lot of money. So he got a vette instead. I love that car! Good for you. I also always wanted one as a kid. They may be expensive to fix, but they are also very well built. I bet it will give you more fun than grief. How's about posting some pics? Let us know how it drives when you get it fixed. eBay prices are far better than book values, particularly for lower end classic cars and such. The book value on that car is over $15,000 on the low end. As for percentage of total price and such, those cars started at $46,000 in 1984 (and were up to $64,000 5 years later when they made the last ones), which was enough to buy 2 new corvettes and still bring home some change. The highest end cars drop the most, which is why a 1984 corvette costs about as much as a 1984 Rolls Royce today. The secret to driving the "bargain" high end cars is realizing that they are going to eat a few grand a year in maintenance and repairs, and that you can't just expect them to act like a 1994 Honda. However they don't tend to go through any further depreciation as long as you keep them up, and may actually raise in value. Also, a lot of people shoot themselves in the foot financially because they don't realize that most of these low end supercars have been sitting around in garages being babied for years and thus have a few problems that have been ignored by their previous owners because they didn't drive them much. So they assume that the problems that crop up when they first buy the car are indicative of what their total experience will be, when in reality they are just seeing all the problems the car has likely developed over the last decade. I'll post some real pictures as soon as I get it out of the two shops. Right now it is snowing out and it has a door bashed in, not exactly the best time to take pictures. Also, I am not really all that worried about repairs or maintenance, as I do have a motorcycle and that suburban I got from Drew 3 or 4 years ago is still ticking over miles. Well technically it isn't ticking over miles anymore since the odometer broke on it, but I am still driving it every day. Those are cool cars. 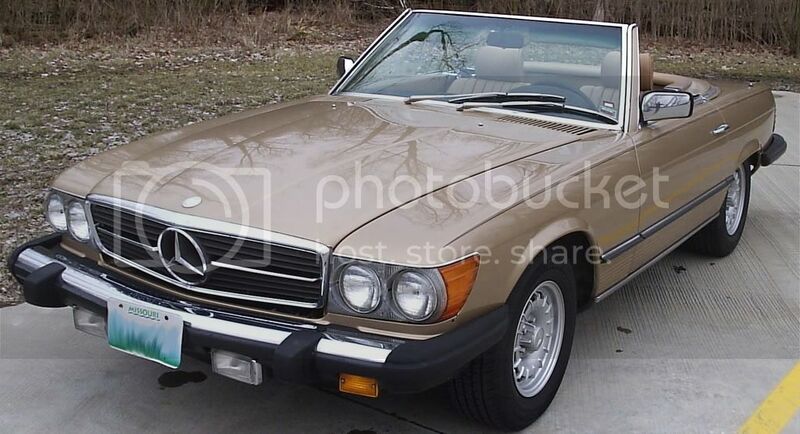 I love old Mercs. I've been kicking around getting a 1998 CL500 Coupe(aka S500 coupe). The potential maintenance does frighten me though. Whoo hoo. 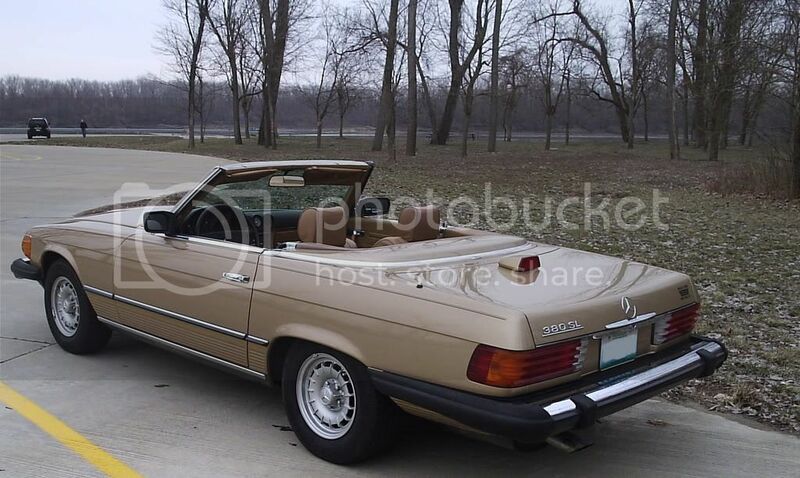 I found a mercedes/porsche salvage specialist that has an undamaged door that is already the proper color. This means my insurance check will not only replace the door but will cover the fuel injection problem as well. The secret to driving the "bargain" high end cars is realizing that they are going to eat a few grand a year in maintenance and repairs, and that you can't just expect them to act like a 1994 Honda. Well they are like 1500 miles away, not exactly local. Finding the body part undamaged in the same color locally would be too good to be true. I have been back part time for maybe a few months. Also, the smurfs at the salvage place refused to ship the door, so I got a brand new one instead, it came out of the body shop friday and I drove it straight to the import specialist to get the fuel injection problems repaired. If they actually looked at it saturday then I might very well have it back by next weekend. The place is open on saturday and I dropped it off right before they closed friday and they DID pull it inside a garage, which is a good sign. You can get basically every single part on that car still (my door was brand new from the local Mercedes dealership), although you usually have to order them, you can't even get spark plug wires for the thing at the auto parts store. geez, how much would that door have been? The door that the place had was $500. I ended up just having a bodyshop put a brand new door on it and they repainted half the car. The other people's insurance covered the whole thing. I actually came out mildly ahead because now the driver's side of the car has been upgraded from pretty darn nice to "showroom perfect". Now, just to find out how much that fuel injection problem is going to cost me??? Ok, it is out of the body shop, out of the repair shop (wasn't the same problem I thought it was, but it was still the $900ish I thought it would cost), and here it is. Images mildly edited to remove my license plate number and to obscure the VIN in one image where it was visible. Those spots on the ground are water, I had washed the thing only about 10 minutes before and it was still dripping a bit. 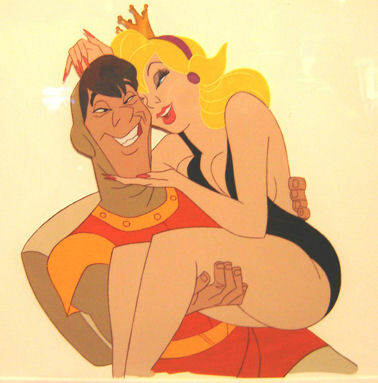 Also, note these pictures are bigger than displayed here, right click and pick view image to see them full sized. Re: Pictures of the freakin car finally added. Personally, I would lose the West End Motor Co sticker on the deck lid, but very nice ride !!!!! Cool. Love the blank license plates. That's a pretty cool car. Not to keen on the "barf color", but I guess it goes with a distinguished car. Wow, that's beautiful and not something you see every day. Use a hairdryer. I took the dealer sticker off my car using a hair dryer and it works great. The only thing I'd be concerned about is how long that sticker has been on your car Paige. If that sticker is from the dealer you just bought it from you'd be fine. If that's been sitting there for years, there's likely to be paint fade and it'll look pretty crappy. In my case it was a new car, so that wasn't a concern. Great looking car, btw. You don't see a whole lot of them. Put a bigger sticker over it? The sticker is recent and yes I had planned on peeling it off sometime in the near future, but only if it comes off easily. After getting it out of the shop my gas mileage went from 12 to 22. Maybe a sticker that says "My other car is a scooter". Ok, I got that silly dealership sticker off. It left a lot of adhesive behind that was being really stubborn about coming off, until I decided (on a hunch) to try rubbing the spot with car wax, it came right off then. You can't even tell it was there anymore. Just for all of you who wondered. 10 years later I still own the car. It hasn't even seen a repair shop other than several exhaust repairs. I replaced the roof once. I also had to do a repair of the line coming off the fuel tank because my normal shop wouldn't touch it (turned out to be easy once I got the right tool). It has never failed to start if the battery had a charge. The suspension is pretty tired and the interior has seen better days. It is still nearly rust free despite having lived outside. It has been daily driven 5 of the past 10 years. I have no idea how many miles are on it now as the odometer stopped about 3 months after I bought it. So that car is like a CRT monitor. Never gives you trouble, fires right up, and just perfect in every way. Eh, it has a lot of old car problems that aren't worth the money to repair. I could totally dump $5000 into the thing tomorrow if I wanted to, but it still starts up, drives straight, and stops, so that is good enough. It is one of those cars that isn't really worth fixing up. 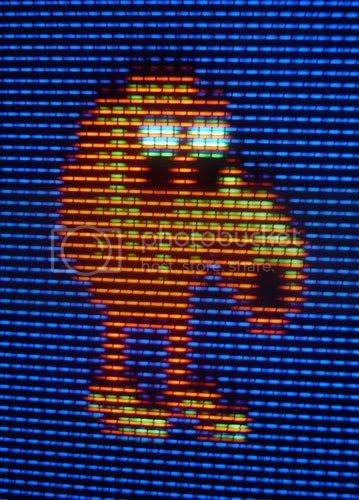 Good to know yours is running well after all these years. My wife's dream car (Grail?) 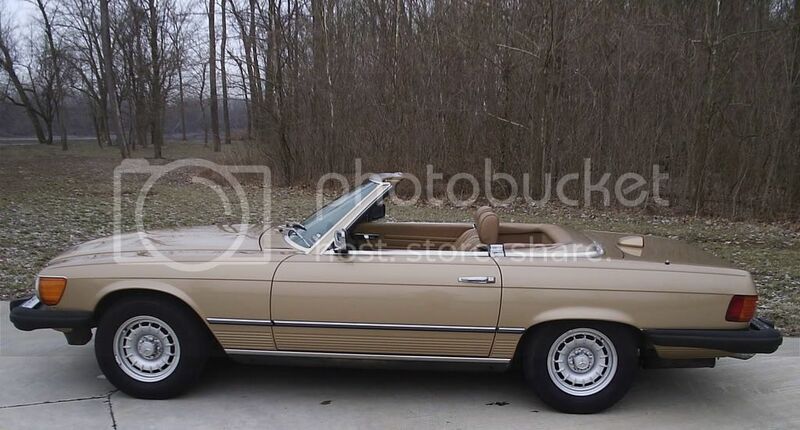 is a 1979 Mercedes Benz 450 SL Convertible. I've been concerned with the reliability and potential repair costs should we find one. Page created in 0.152 seconds with 61 queries.